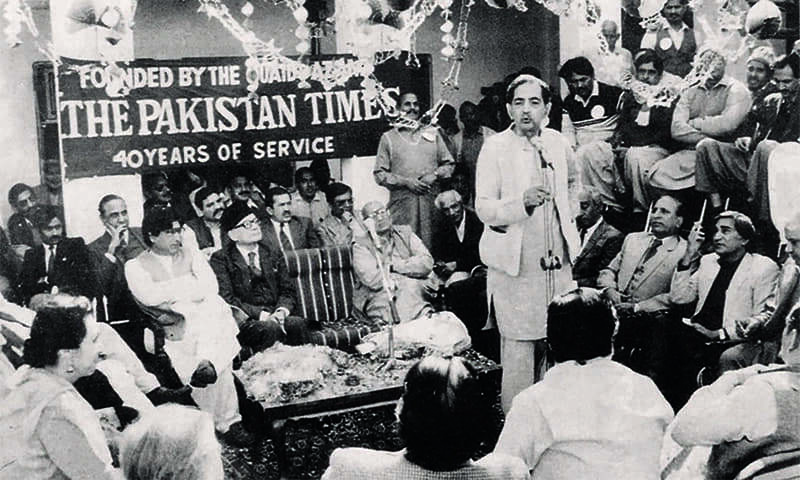 The demise of Pakistan Times was widely mourned because of its role in securing people’s respect for independent press. The building that once housed the offices of all the publications of Progressive Papers Limited (above) has been demolished. | Photo: Mazhar Ali Khan Family Archives. AMONGST the large number of newspapers that faded away over the past 70 years, two outstanding English-language dailies merit special notice; The Civil and Military Gazette, that had a life of 90 years, and The Pakistan Times, which survived for 40 years less. 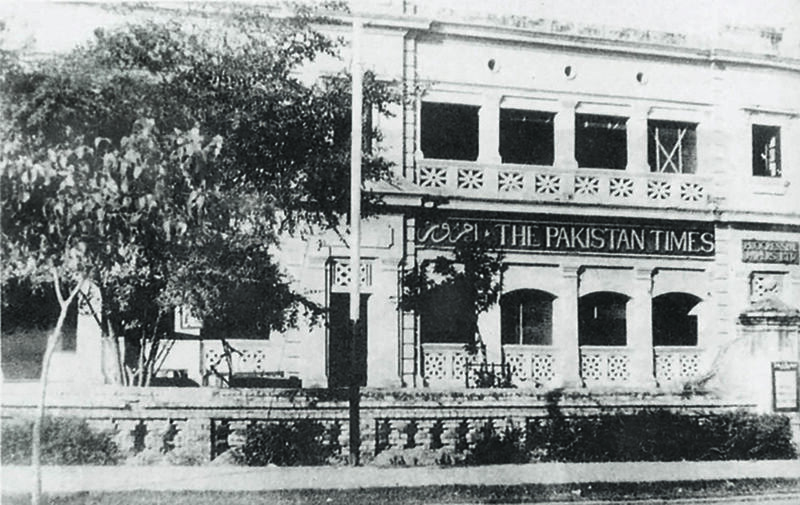 The Civil and Military Gazette (C&MG), Lahore, was founded in 1872 to promote the British interest in Punjab, which had been conquered only 24 years earlier, and it gradually won recognition for its quality. Its reputation was considerably boosted by Rudyard Kipling’s association with it. As the mouthpiece of the colonial government, the paper faced problems as the country’s freedom struggle became intense and it steadily lost ground to nationalist publications. However, the paper’s last English editor, F.W. Bustin, was able to defend his independence by resisting the provincial government’s bid to impose censorship through press advice. The paper faced a serious crisis in April 1949 when it carried a report from its New Delhi correspondent that Pakistan and India were discussing a plan to divide Kashmir. 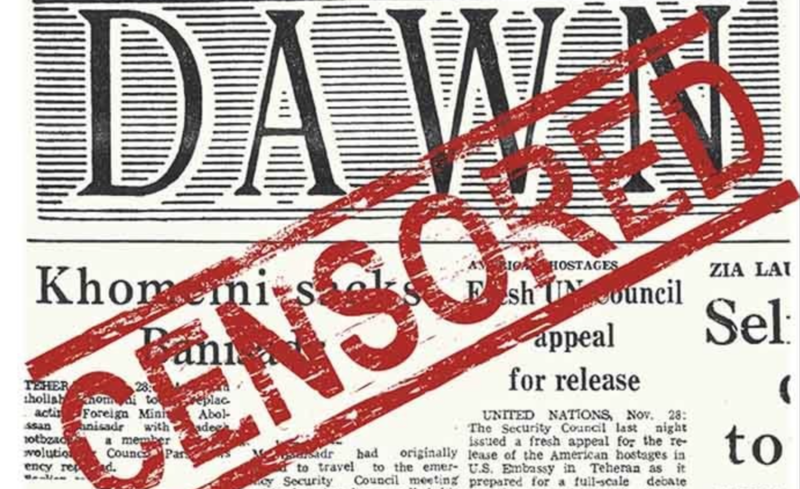 The ‘patriotic’ national press rose in arms against the daily and manipulated the publication of a joint editorial calling for death to it, something that has caused abiding shame to Pakistan’s media. The government promptly banned the paper for six months. It never fully recovered from the blow. An attempt to revive the paper was made early in 1960s under the editorship of Zuhair Siddiqui. With its forthright attacks on Ayub regime’s policies, C&MG became quite popular among the discerning readers. But the owner, an industrialist, caved in to the regime’s bullying. The paper folded up in 1963. The demise of the Pakistan Times (PT) was widely mourned because of the role it had played in securing the people’s respect for an independent press. Launched by the left-leaning Punjab politician, Mian Iftikharuddin, to promote the Muslim League’s cause, particularly in Punjab, the paper started coming out on February 4, 1947, with Faiz Ahmed Faiz as its editor. The paper was modelled after the leading British dailies. It gave maximum possible coverage to national and international developments, with a strong emphasis on reports from the districts. By the end of the first quarter of the 1950s it had its correspondents in London, Paris and New York (to report from the United Nations). Later on, correspondents were also appointed at Istanbul and Teheran. Besides, it paid special attention to sports and culture and it was perhaps the first Pakistani newspaper to start women’s and children’s pages. Its consistent opposition to the preventive detention laws of 1949-52, and its call for a fair deal to labour and for land reforms made it popular among the people but a suspect in the eyes of a pro-West establishment. In 1951, Faiz was arrested in connection with the Rawalpindi Conspiracy Case and ousted from journalism for four years though he became the country’s most outstanding and popular poet in those years. The PT absorbed the blow and its influence grew rapidly. 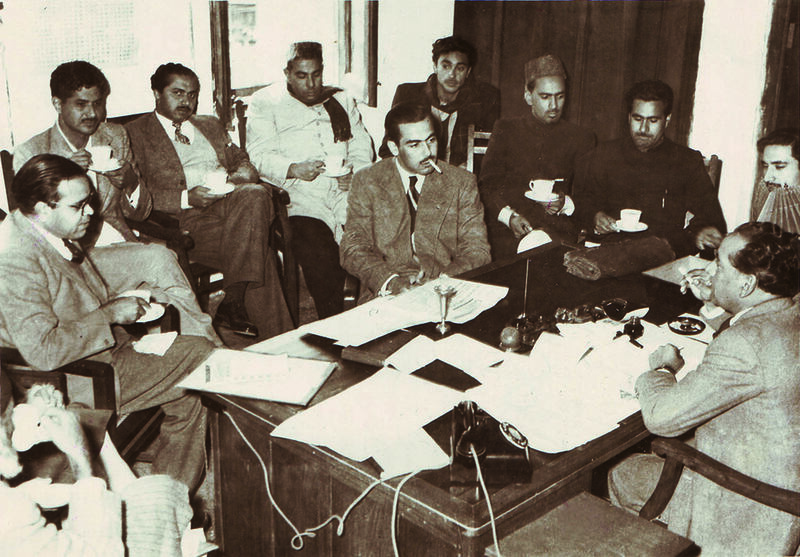 Although the state’s Cold War narrative got more and more intolerant of progressive ideas, Mazhar Ali Khan, the new editor, deftly kept the paper out of harm’s way. The paper benefited greatly from commanding the largest territory for an English daily in Pakistan – the whole of Punjab, the then NWFP [Khyber Pakhtunkhwa of today] and Azad Kashmir, with their numerous towns. It became compulsory reading for all classes and professionals. However, it was not allowed in any army mess. That perhaps marked the beginning of efforts to shield the troops against rational, progressive and democratic ideas. The 952-57 period was dominated by controversies over Pakistan’s participation in US-sponsored military pacts. PT’s steadfastness in calling for an independent foreign policy continued making it more popular with the people until the influence of the left started declining. Martial law was imposed in 1958 at a time when the military-dominated national narrative had largely turned the social elite and the professionals in the middle class away from traditional politics and the prospects for democracy looked extremely bleak. The PT’s decision to challenge the martial law regime at the height of its power could well be described as its finest hour. The martial law regime struck back and seized the paper and its sister publications in April 1959. This part of the PT story has been best narrated by Mazhar Ali Khan himself. After being sold to the regime’s favourites, PT was made the flagship of the National Press Trust (NPT) in 1964 and the Ayub regime. All subsequent governments used it unabashedly for official propaganda. As a result, the paper started losing respect with its discriminating readers. The Zia regime’s policy of feeding his favourite publications and individuals with PT’s resources ruined its economy. After a change of ownership, the PT expired in 1996. The building housing the PT offices has been demolished and nobody has thought of at least putting up a plaque to remind the people of the place from where one of Asia’s best edited newspapers was once produced. The Pakistan Times also made a significant contribution to the journalists’ trade union activities. Further, a good number of journalists who rose to fame at other newspaper establishments had their baptism in journalism at PT. It cannot be said that the paper never faltered because it did so when it put its name to the infamous call to strangulate The Civil and Military Gazette and when it endorsed the dismissal of the Nazimuddin government in 1953. The writer is a senior political analyst and human rights activist. This story part of a special report on Iqbal under the banner of ‘70 years of Pakistan and Dawn’. Read the report here. Mian Iftikharuddin's son, Mian Sohail Iftikhar who ran an enlightened and progressive publishing house, Nigarishat Publisher was kind enough to give me my first job as a proof reader in 1960s. 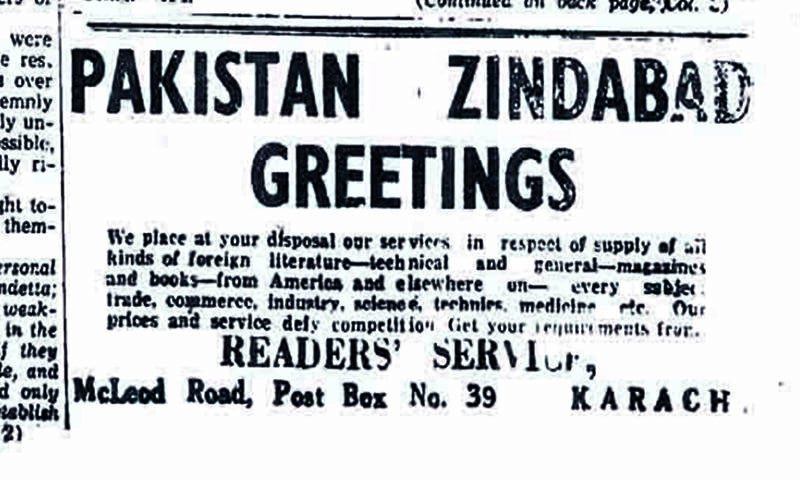 Occasionally, I used to go to the library of the Pakistan Times for research. While doing research, I found out that Mian Iftikharuddin was one of the first, if not the first, leaders of Punjab who had the farsightedness to develop friendly relations with China. In that regard, he had visited China and appreciated the aspirations of the Chinese people for an independent and prosperous country. It is too bad that Pakistan was deprived of his visionary efforts for the people of Pakistan. A great Article, I miss Pakistan Times. I grew up in Rawalpindi reading Pakistan Times since my childhood as we were required by our Parents to improve our English and it subsequently turned into habit later, what a great News Paper it was in 60's and early 70's. True journalism merits as much courage, resilience, determination, character and nerves as does a soldier; in face of adversaries. Every alive nation owes gratitude to these brave men and women of past and present who defied bullet and baton to safeguard "collective human conscience". Salute and gratitude !